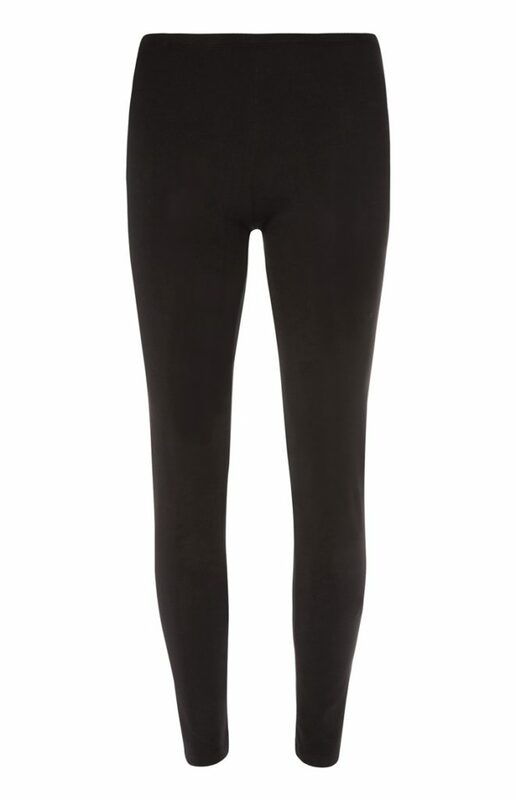 These practical and comfortable leggings can be seen everywhere and with good reason: not only are they comfortable and warm, they are very reasonably priced. Almost uniquely amongst online sites, Primark does not make any promises about these leggings. In fact, they do not say anything at all about them, online or in store! Customers are left to decide for themselves based on seeing and touching the garment – we are not sure if this is worrying or refreshing! Sue, a forties mum of two girls, offered to try out these leggings, saying ‘My daughters are never out of them, let me see what it’s all about!’ She popped out and bought the leggings, wondering aloud if the price marked was correct: it seemed to be very cheap to her. 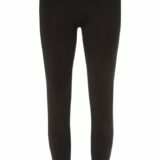 She bought two pairs of the leggings, finding a mid-calf length as well as the more usual ankle-length. She tried them over a weekend, during which time she teamed the calf-length ones with a casual long-length t-shirt for a family barbecue, and the longer ones were paired with a vest for, to quote her, ‘slobbing around getting the house clean’. Sue is usually a fan of form fitting, tailored clothing, so leggings were a step outside her comfort zone. She found herself able to crouch and bend while cleaning, in a way that was not possible in her usual jeans or tailored trousers. At the barbecue, she felt very comfortable, but also slightly defenceless – almost as though she was wearing pyjamas out in public! She agrees that there is a place in her wardrobe for leggings – but they will not form as big a part of her clothing budget as they do for her daughters. A hands-down 100% for comfort.